[S135] Judge Oliver Seymour Phelps Phelps Family, pages 507. [S137] Elisha Scott Loomis, Joseph Loomis, pages 210, 301. [S137] Elisha Scott Loomis, Joseph Loomis, page 301. Robert Carter also went by the name of King Carter. He was born circa 1663 at Lancaster Co., VA.1 He was the son of John Carter and Sarah Ludlow.1 Robert Carter married Judith Armistead in 1688. 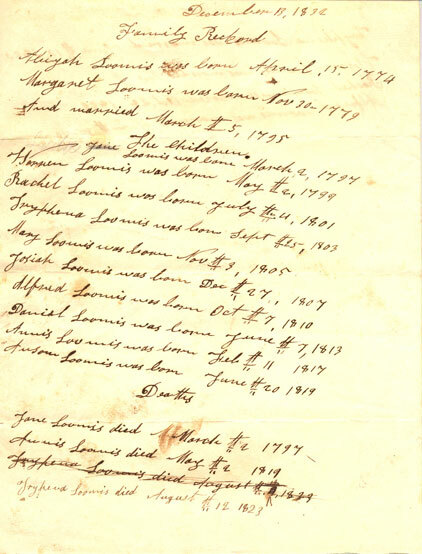 Robert Carter married Elizabeth Landon circa 1701.1 Robert Carter died on 4 August 1732 at Corotoman, Lancaster Co., VA.1 He was buried at Christ Church, Lancaster Co., VA.
Sarah Harrison was the daughter of Benjamin Harrison II. Sarah Harrison married Reverend Dr. James Blair. Eldred Ellsworth McWhorter was born on 26 March 1864 at Cross Keys, AL. He was the son of Major Eliphalet Ariel McWhorter and Anna Gore Shepherd. Eldred Ellsworth McWhorter died in 1888 at St. Marys, Camden Co., GA. He was buried at Oak Grove Cemetery, St. Marys, Camden Co., GA.
[S688] Paul C. Nagel, Lees of Virginia, page 18. [S686] Rev. Frederick Wallace Pyne, Pyne's Register, page 814. Bryant Stringham Hinckley married Ada Bitner.1 Bryant Stringham Hinckley was born on 9 July 1867 at Coalville, UT. He was the son of Ira Nathaniel Hinckley and Angeline Wilcox Noble. Bryant Stringham Hinckley died on 5 June 1961 at age 93. Bryant was an American author, religious speaker, civic leader and educator. He served as a prominent mid-level leader in The Church of Jesus Christ of Latter-day Saints in the early 20th century. His books were primarily designed for a Latter-day Saint audience. Hinckley was the father of Gordon B. Hinckley, who would later serve as an apostle and the president of the LDS Church. His brother, Alonzo A. Hinckley was also an Apostle. His father was Ira Hinckley. Hinckley was the principal of the Latter-day Saint high school in Salt Lake City. During the first decade of the 20th century, he was the head of LDS Business College. Hinckley had previously been the head of the Commercial Department at Brigham Young Academy. Today there is a scholarship at LDS Business College named after Hinckley. Hinckley later served as the superintendent of the LDS Church owned Deseret Gym. Born in Coalville, Utah, Hinckley was president of the Liberty Stake in Salt Lake City in the 1920s, which was then the largest stake in the church with about 20,000 members. He also served on the general board of the LDS Church's organization for young men, the Young Men's Mutual Improvement Association. While on this board he moved for the adoption of the Boy Scout program by the church. He had also been on one of the committees that led to the establishment of the Improvement Era. Other members of this committee included B. H. Roberts and Reed Smoot. In the 1930s Hinckley was president of the Northern States Mission of the LDS Church, which was based in Chicago. While serving in this position he tried to convince the leaders of the LDS Church to rebuild the Nauvoo Temple. Also while in this position he represented the church at the dedication of the monument to the Mormon handcart pioneers in Iowa City erected by the Daughters of the American Revolution in 1936. Also in this capacity he was involved in organizing the celebration of the centennial of Nauvoo in 1939. Hinckley was also a popular speaker. He attended Brigham Young Academy where he studied under Karl G. Maeser. He won a contest to be the speaker at his commencement, and would be noted the rest of his life as a great orator. Among other speeches to church congregations he gave at least two talks at general conferences. Hinckley also participated in giving talks in the church's "Church of the Air" program on KSL radio in the 1930s. From 1940-1941 Hinckley served as the President of the BYU Alumni Association. While in this office he was responsible for the formation of the emeritus club, of which he latter served as the leader. For a time there was a "Bryant S. Hinckley Award" given to recognize people for the service they had performed in boy scouts. Hinckley married four times, his first three wives having predeceased him. In 1893, Hinckley married Christina Johnson (1870–1908). After Johnson's death, he married Ada Bitner (1880–1930) in 1909. After Bitner's death, he married May Green (1881–1943) in 1932. After Green's death, he married Lois Anderson (1889–1983) in 1944. All of Hinckley's children were born to his first two wives, Christina Johnson and Ada Bitner. Hepzibah Boardman married David Goodrich, son of Col. David Goodrich and Hannah Wright, on 31 December 1721. 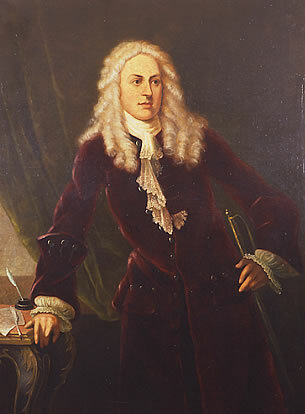 George Wolfley was the son of Ludwig Lewis Wolfley. David F. Holcombe IV was born on 18 January 1952 at Plattsburgh, Clinton Co., NY. He was the son of Kenneth Henry Holcombe II and Shirley Champagne. David F. Holcombe IV died on 12 April 1986 at Plattsburgh, Clinton Co., NY, at age 34. He was buried on 15 April 1986 at Mt. Carmel Cemetery, Plattsburgh, Clinton Co., NY. [S703] New York Times, 7 October 2009, accessed on-line. [S762] Rachel L. Swarns, American Tapestry. [S182] Social Security Death Index (on-line), Ancestry.com, SSDI, Ancestry.com, SSAN 130-30-3713. Esther Dutch was born in 1639 at Gloucester, Essex Co., MA. She was the daughter of Osmond Dutch.1 Esther Dutch married Samuel Elwell, son of Robert Elwell and Joan (? ), on 7 June 1658 at Gloucester, Essex Co., MA. Esther Dutch died on 6 September 1721 at Gloucester, Essex Co., MA. Esther was accused of witchcraft in a deposition on 8 November 1892 for choking Mary Fitch. However, she was never tried because the court had been decomissioned. She lived to be 82. [S122] Robert Charles Anderson Great Migration. 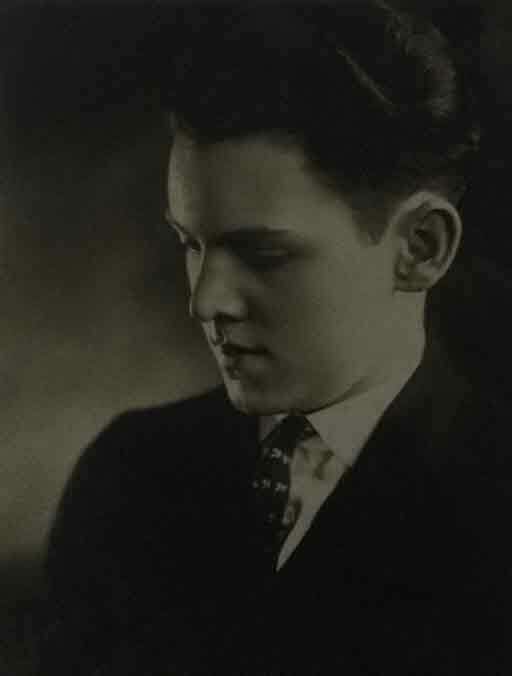 Charles Arthur Moore Jr. was the son of Charles Arthur Moore and Mary L. Campbell. Charles Arthur Moore Jr. married Elizabeth Hyde. [S711] Richard G. Tomlinson, "Giles Tomlinson." Frank E. and Margaret were enumerated in the 1940 Indianapolis, Marion Co., IN, federal census. He was a CPA age 35, she was 32. Children in the household were Claire 6, Robert 3, and Frank E. Jr. 1. Frank was the chairman of the Democratic National Committee from 1951 through 1952. He was hand-picked for the post by then-President Harry S Truman. Born in Indianapolis, Indiana, McKinney served in the U.S. Army during World War II. He was a delegate to several Democratic National Conventions from Indiana. In addition to working as a banker and being active in Indiana politics, McKinney was a co-owner of baseball teams, including the Louisville Colonels, the Indianapolis Indians and the Pittsburgh Pirates. One of McKinney's first acts as DNC chairman was to advocate that all collectors of internal revenue be civil service, rather than political patronage, jobs. Frank Edward McKinney, a 47 -year-old Indianapolis businessman, got into Indiana state politics because the Democratic Party there was broke. Back in 1948, after four years of Republican rule, the Democratic State committee was in the red. The party had barely enough funds to keep its state headquarters open. Party leaders began a search for a man who could raise the money to finance the important campaign for governor. McKinney got the call. He raised nearly $225,000. The Democrats won the election. The curly haired cigar smoking banker, born in Indianapolis n June 16, 1904, began his Horatio Alger climb in the Hooser capital in the early 1920's. Then a lanky kid who managed a crack semi-pro team--the Sacred Heart Young Men's club--McKinney attracted the attention of Ownie Bush, former big league shortstop and manager. Bush was a power in Democratic politics in the south side's "bloody thirteenth" ward. The party needed a bright young man for future leadership. Bush and William (Billy) Clauer, a top ward boss, recommended McKinney. That was his introduction to politics. Son of a city fireman of Irish descent, McKinney was working in an Indianapolis bank as a bookkeeper, within a decade he became cashier. At 30 he was elected president of the Fidelity Trust Company, an Indianapolis bank. McKinney was elected Marion county treasurer in 1934. Two years later he was re-elected. In those years county treasurers collected large fees. McKinney’s friends say those four years gave him his financial start. McKinney had always wanted to own a baseball team. With Bush and Tom Yawkey of Boston, he purchased the Louisville American Association team. At the end of the 1940 season Yawkey bought out their interest in the club. Frank M. McHale, Democratic national committeeman from Indiana, meanwhile began promoting Paul V. McNutt, then high commissioner to the Philippines, for the presidency. McKinney became treasurer of the McNutt-for-President organization. When the campaign fizzled, McKinney became assistant treasurer of the Democratic National committee. Shortly before Pearl Harbor, McKinney and Bush bought the Indianapolis Indians of the American Association. The Indians took the pennant in 1948 and the Little World Series in 1949. McKinney became part owner of the Pittsburgh Pirates in August 1946. He sold his interest in July, 1940, and later got out of the Indianapolis baseball picture, except for a few shares. Because of other business interests, McKinney resigned as treasurer of the Indiana Democratic committee in March, 1951. Now he devotes most of his time to the bank. The McKinneys have four children: Claire Marie, 18; Robert, 15; Frank E. McKinney Jr., 12 and Margaret Kathlee, almost one. [S182] Social Security Death Index (on-line), Ancestry.com, SSDI, Ancestry.com, SSAN 303-05-5842. [S336] Ancestry.com, Indiana Archives and Records Administration; Indianapolis, IN, USA; Death Certificates; Year: 1974; Roll: 01. Indiana, Death Certificates, 1899-2011. [S807] Find A Grave, online http://www.findagrave.com, Find A Grave, database and images (https://www.findagrave.com : accessed 12 March 2018), memorial page for Frank Edward McKinney, Sr (16 Jun 1904–12 Jan 1974), Find A Grave Memorial no. 129686302, citing Calvary Cemetery, Indianapolis, Marion County, Indiana, USA ; Maintained by Rita Osborne (contributor 47817349) . Noted Genealogist William Addams Reitwiesner in 1995 traced some of the descendants of the original rulers of the island of Lesbos, including Prince Rainier and Brooke Shields. 1 William succumbed to cancer on 12 November 2010. His research appears throughout this site.